Surfer hair is one of those hairstyles that are referred to as tousled. The hair is intentionally made to look unkempt, disheveled and messy to create a relaxed impression. It appears as if you’ve spent long hours under the scorching tropical sun, with salty sea water and gentle breeze shaping your locks. Though, with the right styling products and approach, you can achieve such an appealing hairstyle without leaving home. Already feeling intrigued? Then check out our ultimate guide to the surfer’s hair look. 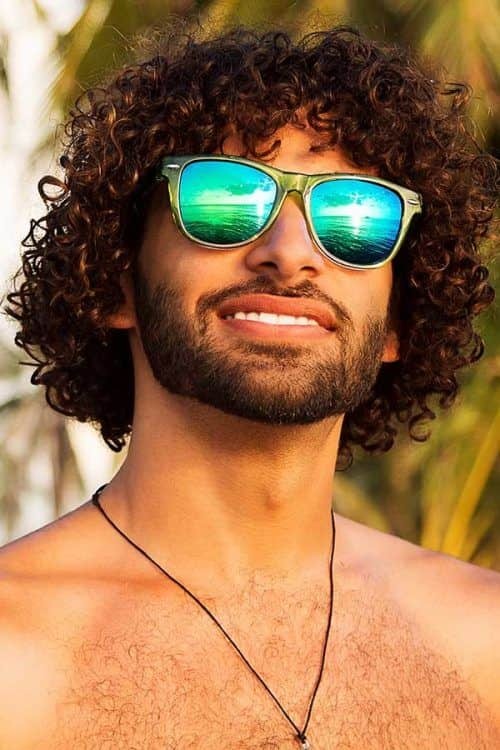 Surfer’s hair begins with medium shag haircuts, thus to nail the look, your hair should be of the neck length at the back, chin length on the sides and eye length at the front. Hence, when considering a beach hair style, ensure that you have enough will and patience to grow your locks. As for the texture, don’t bother adding any waves or curls. They will come with length, so let nature do its business. Wash your hair and dry it with a towel. Apply a salt-infused product with a matte finish and either leave the hair air dry or blow dry with a diffuser. Optionally, add a touch of shine with a pomade. One of the main advantages of a surfer hair style is its versatility. You can style it in naturally hanging loose locks or get a skater haircut and play with the hair on top. You can even add a formal air to it by brushing back with a blob of pomade. 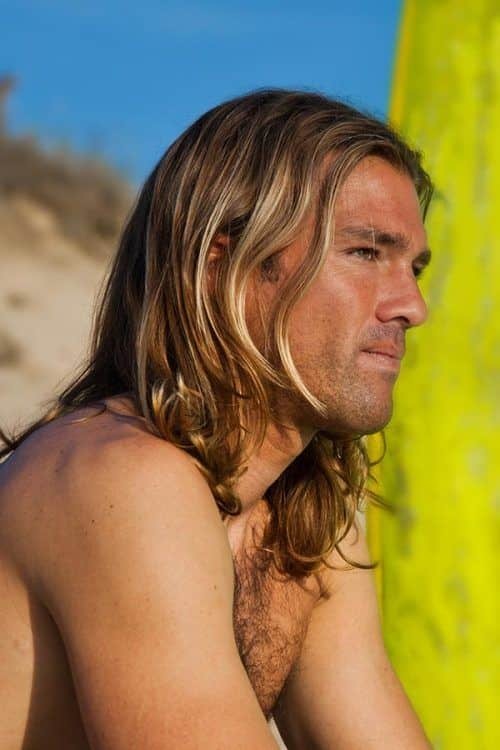 For more inspiration on the look, here’s our handpicked gallery of the best surfer hairstyles. This short on sides long on top haircut is a modern take on classic surfer mens haircuts. 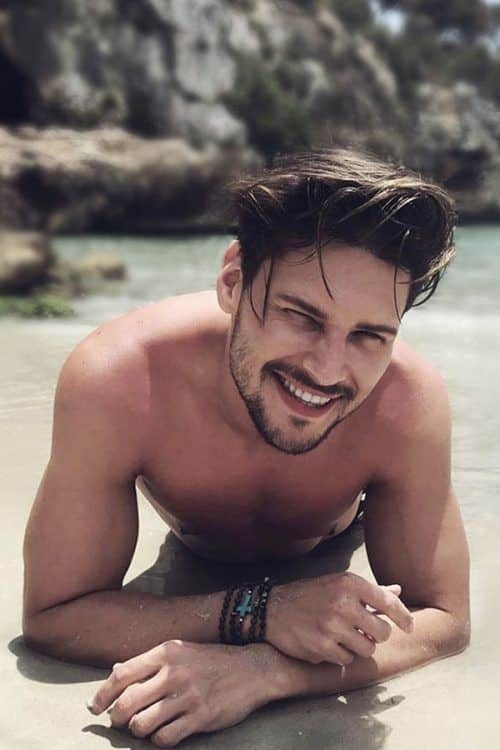 Thanks to the cropped sides, you get a clean and defined look appropriate for different social occasions while the prominent sun bleached hair on top reminds of a tousled origin of this style. Long wavy haircuts are arguably the best option if you want to pull off a surfer hair style. 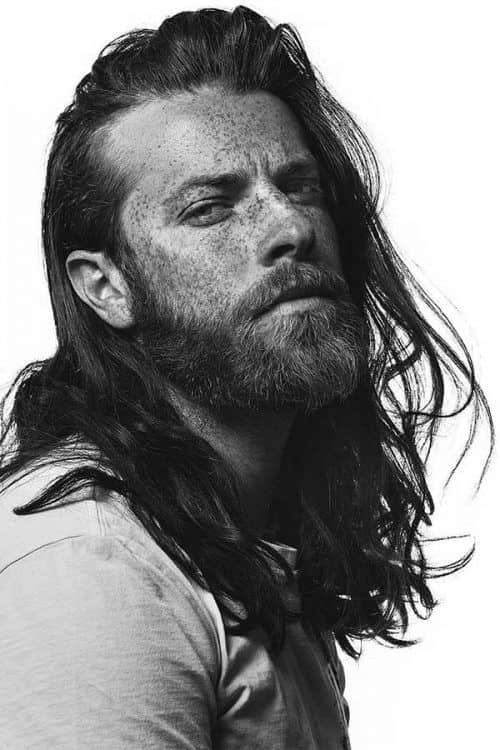 Paired with a coarse full beard, these soft and mellow waves create a perfect merman look. All you need to do is to arm oneself with patience, as both the hair and beard require some time to grow. If you’re not after long mens haircut styles that much, go for a medium-length haircut then. 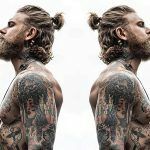 The blonde highlights men usually add to random strands enhance the appearance of the sun-bleached hair for a more authentic look whereas the mid-length beard brings it a dose of masculinity. 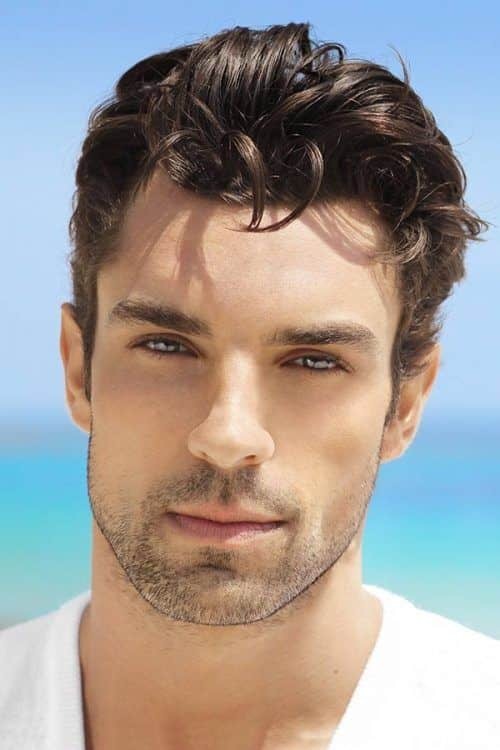 The beach hairstyles are most complimentary for those guys whose hair texture is naturally curly or wavy. To ace the surfer hair style, they simply should let their hair grow until the coils begin to form and wear it loose. Several bleached streaks here and there won’t hurt though. 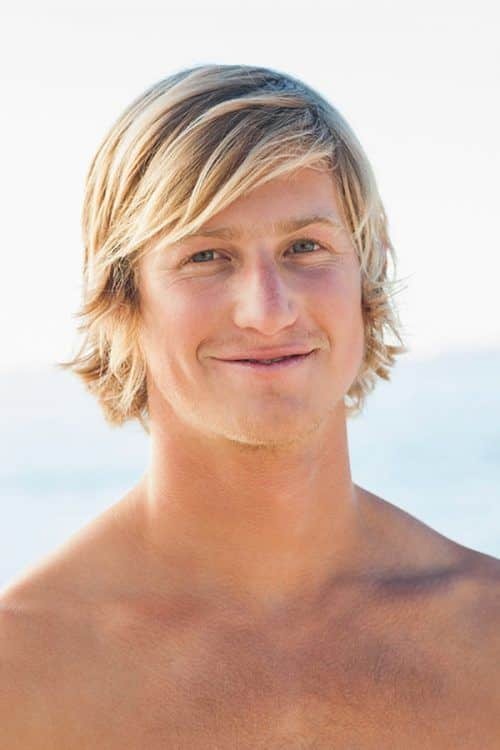 Here’s another good example of medium-length guys haircuts for a surfer look. 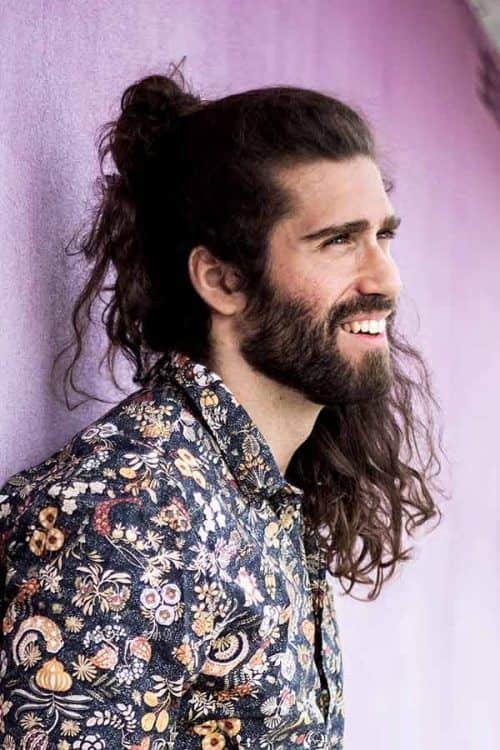 Similar to the undercut long hair on top, this mid-length hairstyle can be harnessed on any occasion, from casual to formal. You can add an elegant twist to the style by pushing the front section to the side, thus dividing the hair with a natural side part. 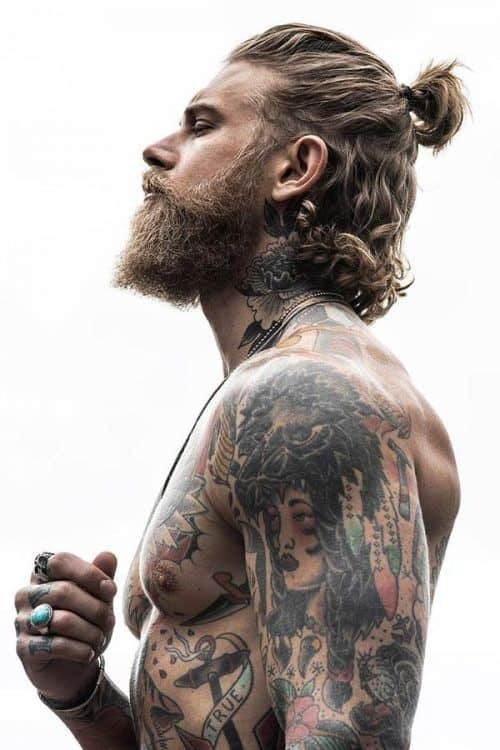 Blonde hair men are bound to try a surfer hairstyle at least once. They can skip on the dyeing job and simply get one of the shaggy haircuts to pull off the beach boy look. Shoulder length blonde hair styled falling on one side is a perfect fit for a beachy ambiance. 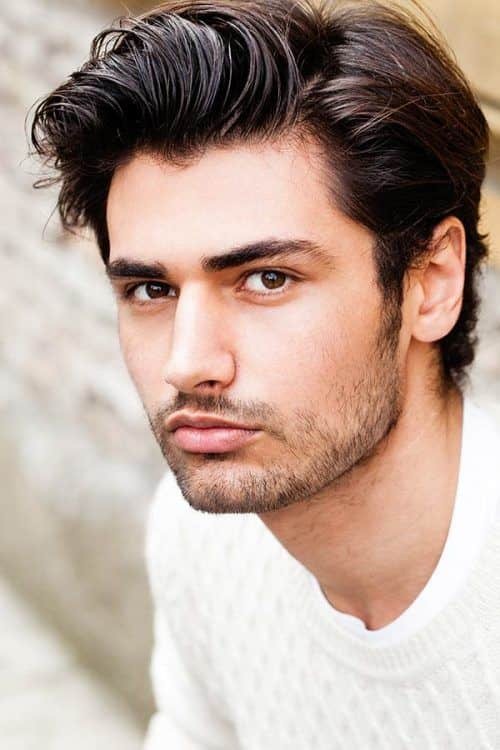 To achieve more volume and texture, get one of the layered mens hair cuts all over the head. To get the surfer look right with the short haircut styles for men, you should focus on layering instead of growing. 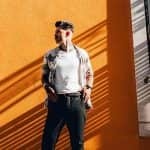 The best haircuts for men are stylish, low-maintenance and hassle-free, which is exactly what a short surfer hairstyle is about. The surfer hair style has been booming for a while now not for nothing. 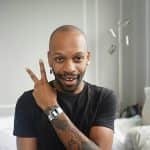 It’s no longer a hairstyle associated only with long inconvenient locks. Modern trends have brought a welcome change in it, which we hope you fully enjoyed.